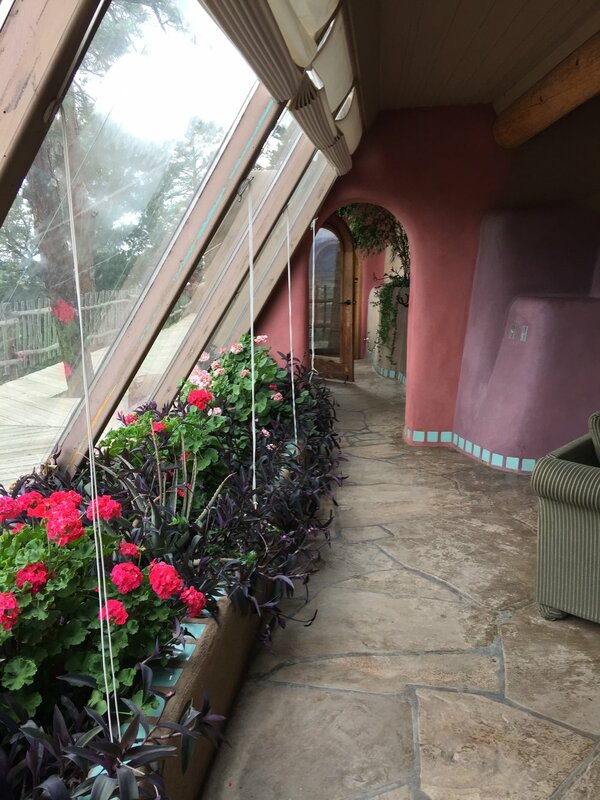 This past weekend my wife surprised me with a birthday weekend at an earthship in Taos, New Mexico. It was originally built for actor and activist Dennis Weaver and was completely off the grid. A carbon negative building. All the water is collected in huge cisterns from rainwater, and electricity is from solar. It was built on a steep slope outside of Taos Ski Valley at 8,500'/2,590m. I created a super quick map of where we were. Last Saturday we drove the High Road to Taos to get up there from Albuquerque. We rented it via Airbnb, and the host met us in the valley below Arroyo Seco. The first thing the host told us was, "I'll stop where you'll need to switch into 4wd low." We drove up on the high road to Taos. Below is a video of us driving up the final bends to the earthship. 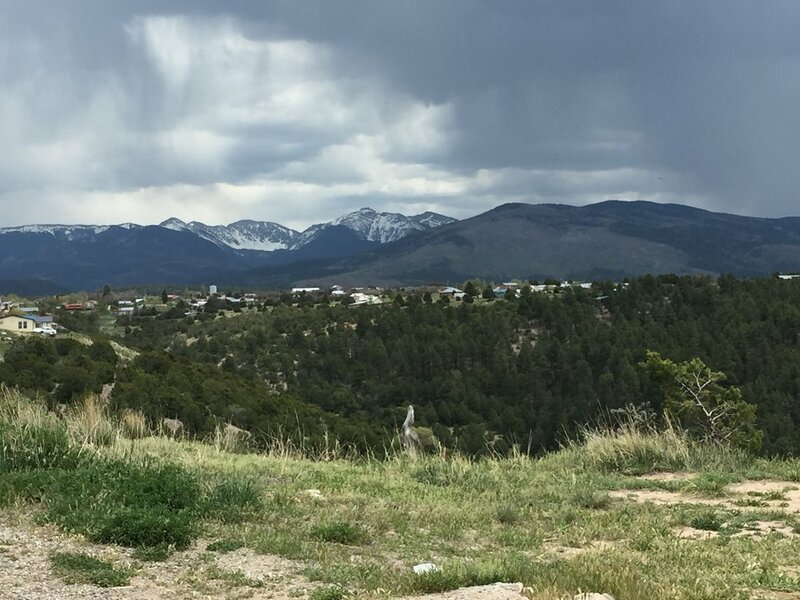 The views of Taos valley and Pueblo Peak were amazing from the front porch. The view from the front porch! Above are shots of the main living area looking west (left) and east (right). All the gray water feeds into the flower beds. Uploaded by geomenke on 2017-05-12. There was a private trail heading up the ridge. So Sunday afternoon we took a walk. Got about 1,000' above the house before it started getting stormy. With an early enough start we could have made to Lobo Peak. I had to have a few maps in here. On the way back we drove over the Rio Grande Gorge Bridge. At this point the gorge is 565'/172m deep. There was a small herd of bighorn sheep hanging out at the rest area! From there we headed south to Pilar. It's one of the most scenic routes in New Mexico. You drop into the gorge and follow the Rio Grande . We saw several more herds of bighorn sheep along the way. A heard of bighorn sheep who were hanging out near the rest area! Can you spot the two bighorn sheep? It reminded me why I love living in New Mexico!